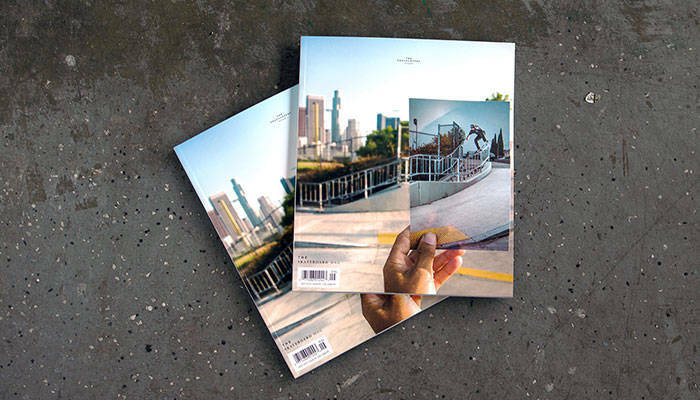 Issue #138 is here, and it’s The Photography Issue: a huge collection of incredible skate images to keep you photo fiends satisfied. Not only do we profile each of this year’s In Transition skaters, but we also take a look into the darkroom of J Grant Brittain’s mind in his frank “I Am Not A Portrait Photographer” feature. Matt Price introduces you to Josh Hawkins in a Water World of epic proportions. Atiba gets in where he fits in with “Inner Space”, an inventive, counterintuitive, interactive piece de resistance to make you go “Hmmm.” And to top it all off, there are dozens of fine pics in our massive Photography Feature. And with Chris Cole on the cover, how can you go wrong? HUF has added Tyler Bledsoe to their footwear team. Congrats!